1. Why do you travel by yourself? I absolutely love the freedom of being able to see exactly what I want and when I want. I take a LOT of photos and videos for this blog, and sometimes that takes a while to set up. It requires a lot of wandering and exploring down streets without any real destination. Not every travel companion is down for that sort of day. All that being said, I often hire accessible tour companies and guides when I travel, so I’m often not truly alone. I also go on one trip a year with my best friend of 19 years, and I’m incredibly lucky that we can spend so much time together at once and still miss each other after the trip is over. But I do love the confidence that solo travel provides and the independence it gives me. 2. Do you travel for work or for fun? Yes and yes. I choose my destinations based on their accessibility, and I’ve been to places as a result of that process that I never would have visited if it was purely for personal travel. 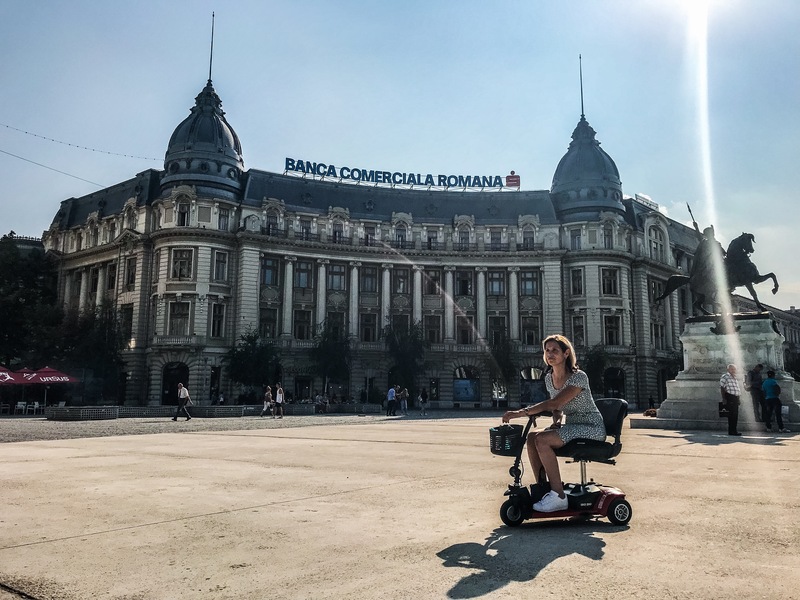 I enjoy every day of my travels as if I were on vacation, but I’m also absorbing every experience through the lens of accessibility (or lack thereof) so I can write about it for my blog readers. I’m also making connections with tour companies and guides that I have since used to provide my travel agency clients with outstanding service. I’m only now starting to go on sponsored (paid for) tours and trips, which involves a bit more work and writing. However, I still enjoy the visit and have a ton of fun! 3. How do you pay for your travel? I have several sources of income, and I pay for 99.9% of my travel experiences out of pocket. 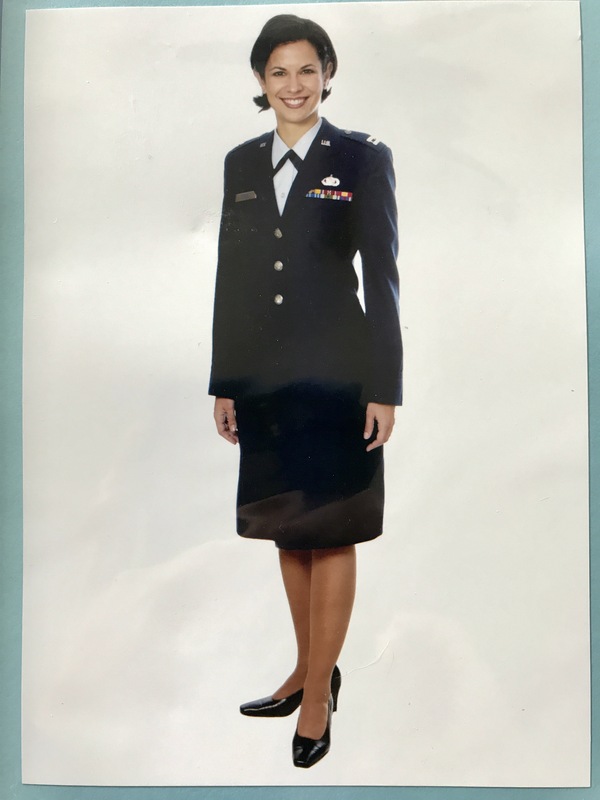 I’m a 100% service-disabled Air Force veteran, which means I receive a pension from the US Veterans Administration. This pays for my living and medical expenses. However, I’ve had a consulting business for nine years that has been my main career – and continues to be. I’m a subject matter expert on Mexico’s drug war and border security, and I’ve actually written two books on these issues. I still write articles every month for American Military University’s InHomeland Security site. 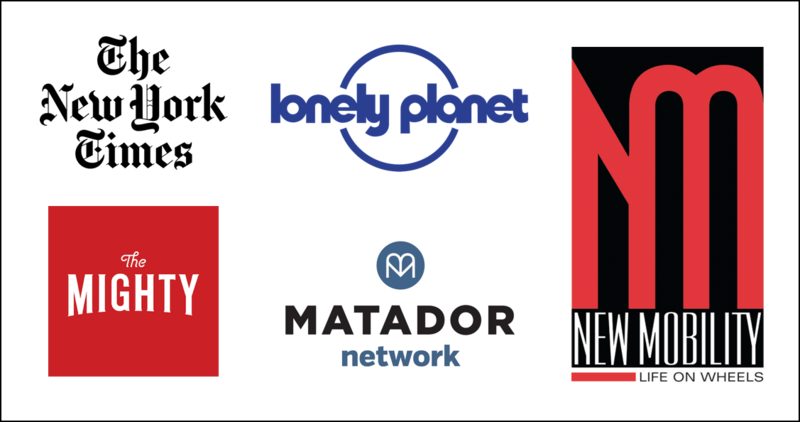 I also write freelance about accessible travel for outlets like Lonely Planet, the Matador Travel Network, and New Mobility magazine. Finally, I started a travel agency – Spin the Globe/Travel – just over a year ago, and business is growing off the charts. 4. Why/how do you travel with a scooter if you can’t walk? 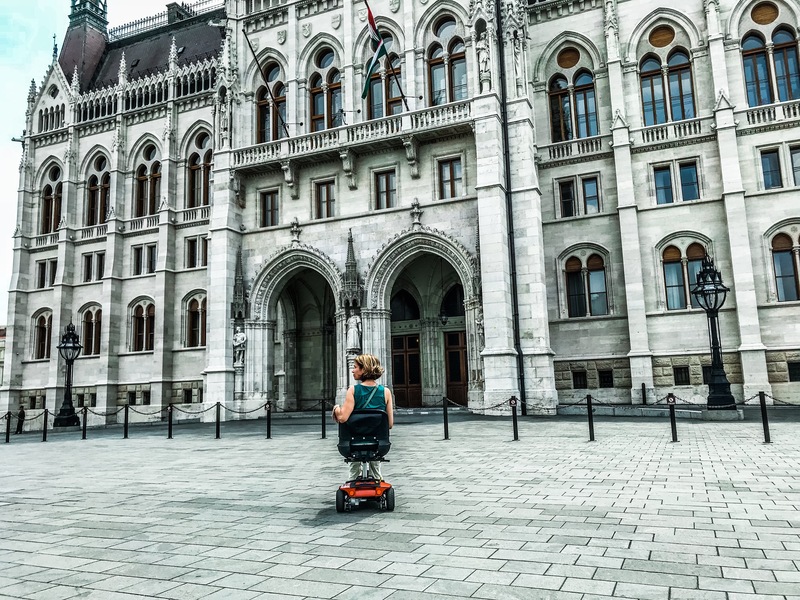 While the power chair I use at home is infinitely more comfortable, I travel with a scooter for several reasons. Most importantly, it comes apart into four pieces and fits in a regular trunk. I can transfer into a sedan taxi in case there aren’t any wheelchair taxis available at my destination. The front wheel size makes it easier to cross gaps and go over obstacles, with the front tiller providing support. A scooter also has no protruding pieces or wires, and mine only weighs 92 pounds, making it easy to fly with and less susceptible to airline damage. 5. Aren’t you scared to travel alone? Every single time I leave the house. I’m a control freak and I try to schedule or arrange as much as I can before I leave home. However, you never truly know what to expect until you arrive. I’m also afraid of flying despite the fact I fly dozens of times every year. That being said, the thrill of the destination trumps any fears I might have, and I also derive a huge amount of satisfaction and self-confidence from overcoming my travel fears. 6. How do you manage transfers/self-care by yourself? Every person’s level of disability is unique. I can’t walk because multiple sclerosis affects very specific muscles in my legs that prevents my from lifting my legs and feet. However, I can still stand up with support. This allows me to self-transfer from my scooter or power chair to a bed or toilet or shower seat/bench. Putting on pants and shoes remains one of my biggest self-care challenges, and most frustrating! But I manage. I also have a very tried-and-true system for carrying my belongings with me. Check out the video below for some tips on traveling solo! 7. Don’t you get lonely? Sometimes, sure. It usually happens when I see something or I’m in a place that I know someone close to me would really love. But like I said in #1, there’s often someone with me to talk to, and I’m always around other people to watch. I speak to a lot of strangers who have become friends, especially on cruises. I enjoy my own company and don’t need to be with someone else to be happy, which is why I suppose I’m predisposed to solo travel. 8. Do you have any romantic adventures while abroad? No, and I haven’t decided if this is a good or bad thing! The opportunity doesn’t arise for me to meet men while traveling, and much of that is by design. For safety reasons, I usually don’t venture out at night unless I’m taking photos, and with very few exceptions that’s always around other people. I don’t drink alcohol, and even if I did, I have no business being in a foreign bar or club by myself. I’m constantly moving and seeing different things, so my travel style doesn’t lend itself to flirting opportunities. Then there’s the fact that any looks I get on my scooter from men are likely more out of curiosity than attraction. 9. How do people treat you in other countries? It totally depends on the country, as people’s views and perceptions of wheelchair users and people with disabilities is largely dependent on their culture, society, and even religion. For the most part, plenty of people look or stare, but mostly out of curiosity rather than malice. The one exception to this was my trip to Hong Kong, as many Chinese believe a disability is punishment for sins committed in a past life. However, I have been the recipient of an overwhelming amount of kindness, assistance, and courtesy during my travels. I’ve been carried and nudged and rolled over countless obstacles by total strangers who genuinely want to help and represent their country well. 10. What’s the worst travel moment you’ve ever had? I have no idea how I’ve managed to travel internationally with my scooter for two years without having it damaged outside of a few scratches and chips. That all ended as I prepared for a short flight from Frankfurt to Ljubljana in September 2017. I was with my scooter in an elevator truck getting ready to board to plane on an aisle chair. Before the truck raised up to the cabin door level, the ramp crew took my scooter and started rolling it towards the back of the plane to load it in the cargo hold – no more than 30 yards away. To my horror, as I was about to be rolled onboard, I noticed the ground crew wrestling with the tire of my scooter’s front wheel, which had somehow magically become dislodged from the plastic hubcap in that short distance. The plane captain and crew assured me they would fix it in Ljubljana, but I spent the entire one-hour flight in a panic over possibly getting stranded alone in Slovenia with no means of mobility. Fortunately, the amazing ground crew at the Ljubljana airport did get the tire back on after 30 minutes of fighting with it, and I counted my blessings that the situation wasn’t worse. You can read more about my worst travel moments here, and my weirdest travel experiences here. Are you ready for some new accessible adventures, solo or otherwise? Check out my accessible travel agency at Spin the Globe/Travel and ask me how I can help make your dreams come true! i REALLY LIKE YOUR BLOG, BUT IT IS VERY DIFFICULT TO READ BECAUSE OF THE LIGHT FONT. iS IT POSSIBLE TO ADD MORE CONTRAST ON THE FONT WITH YOUR NEXT BLOG POST? I spent about a month in Kenya on my own. I got a lot of curious looks but everyone was extremely helpful. Almost too much so. Once I was at the bottom of a set of stairs and was looking to see what was on top. The next thing I knew, two men just picked me up and ran up the stairs with me. The problem was, I didn’t really want to be up there so they just happily took me right back down. My best moment was at a safari lodge. I was speaking to a worker there about the USA. He very sweetly asked me if I were married and wanted to know how many cattle my father wanted for me. Thanks for the helpful info you provide! What is your contact email for travel agent services? Hi Patricia! 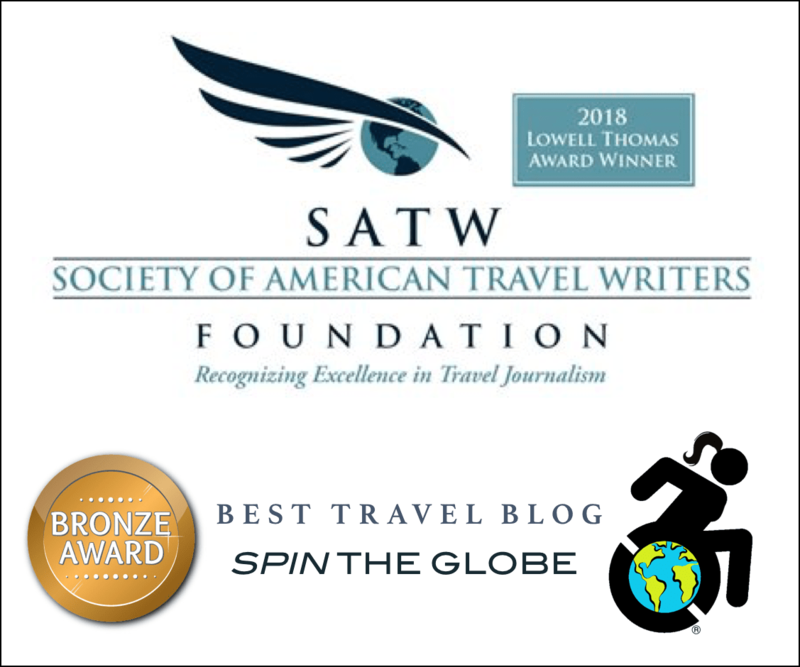 You can email me at sylvia@spintheglobetravel.net .